I went to check on my Better Boy Tomatoes and found these visitors! 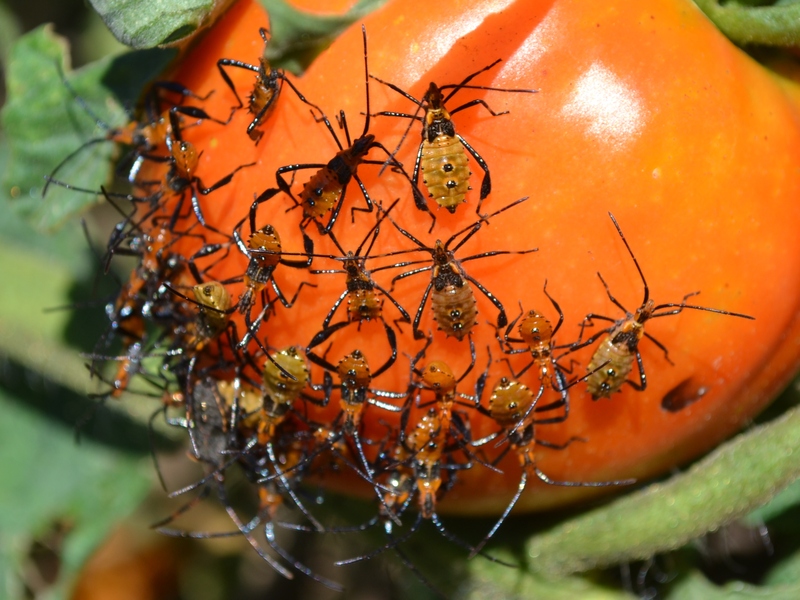 This entry was posted in Wildlife and tagged Aphid, Bugs, Insects, Outdoors, Photography, Plant, Tomatoes, wildlife by Mud. Bookmark the permalink. You might should have checked on them sooner. You Reckon? Hose them down, slice them up…great on a bologna sandwich!